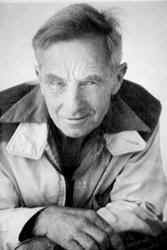 Frank Wightman was born in Johannesburg in 1896. He spent the early years of his working life as a cable operator in South America. Frank then moved to CapeTown and in 1936 he met Harry Pidgeon. Harry had sailed his boat Islander around the world single-handed. Frank was a keen yachtsman and a great admirer of Harry Pidgeon and he decided to built a copy of his boat. He aquired the plans from a New York publisher. One day in 1938, Frank threw his pen in the bin, walked out of his job and spent the next 12 month building Wylo single-handed. After the war he sailed Wylo to America with his friend Graham Young. Frank Wightman wrote 2 books. He died in Cape Town on the 23rd of February 1970 and has been buried in Langebaan close to the lagoon. 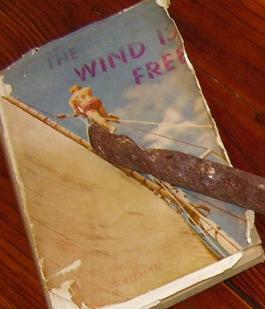 THE WIND IS FREE was Frank Wightman's first book, published by Howard B Timmins in Cape Town in 1949 and by the Mariners Library in London and New York. Frank built Wylo in Cape Town and sailed her to South America with his friend Graham (Gray) Young. In Trinidad Gray left Wylo and returned to work in the United States. Frank run out of money, sold Wylo and returned to Cape Town to write his first book. 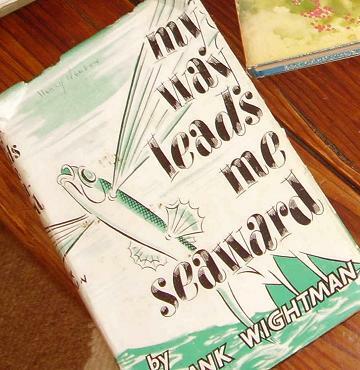 MY WAY LEADS ME SEAWARD is Frank Wightman's second book, published by Howard B Timmins in Cape Town in 1951. The Mariners Library published the same book in London and New York under the title WYLO SAILS AGAIN. Frank returned to Trinidad where he became the owner of Wylo once again. He planned to sail her to New York. During the cruise his friend Gray Young joined him for short periods. On his own Frank sailed the American Inland Waterways from Miami to Baltimore. Winter sets in and Frank's visa runs out. Wylo got shipped on a liner and transported to Cape Town via New York. Frank became a recluse and spent the next 15 years of his life on Wylo at Kraal Bay on the Langebaan Lagoon. That was where he wrote his second book.